Join us on September 22, 2018 for our second Hopnesia beer run 5K! This is a cross country 5K that travels on paths from fields to vineyards, thru the corn maze and more! All participants in the 5K will receive a 1/4 zip embroidered tech shirt, a complimentary Hopnesia IPA beer (or cup of cider if under 21), Finisher’s Medal, free race photos, online Chronotrack results, commemorative bib and a coupon valid for a free 6″ sub from Subway. Runners will be in heats of approximately 250 people with your choice of start times every half hour beginning at 9:30 am. Register here. NEW this year – This race is part of the Cork & Barrel Series which includes the Dandelion 5K on May 5, and the First Crush 5 Mile on August 17 – both held at Breitenbach Winery. Run all three and receive a 3 part interlocking finishers medal. 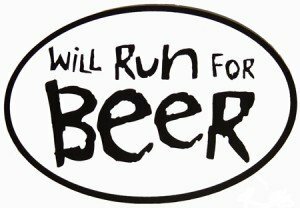 Do you like beer and like fun, but maybe not the “RUN”??? The join us for the area’s only “Drink for Pink” Zero K Run! This “race” will take place on September 22, 2018 – the “race” starts at noon and the party starts at 12:01. All proceeds from the Zero K will go to support the Susan G Komen Northeast Ohio in the fight against breast cancer. Click here for more details!